When I first read this my initial reaction was to share it with as many people as possible and exclaim, "THIS is exactly what I've been trying to express all these years!" The feeling of having my soul crushed in a corporate environment, the feeling of not living my passion, the feeling that I wasn't fulfilling my destiny . . Holstee's manifesto addressed the dissonance I felt in my own life. I've posted before about the quarter life crisis and why many of us end up in miserable jobs, so when I heard about Holstee I immediately wanted to find out more. Who were these people that created a manifesto that resonated so strongly with me? 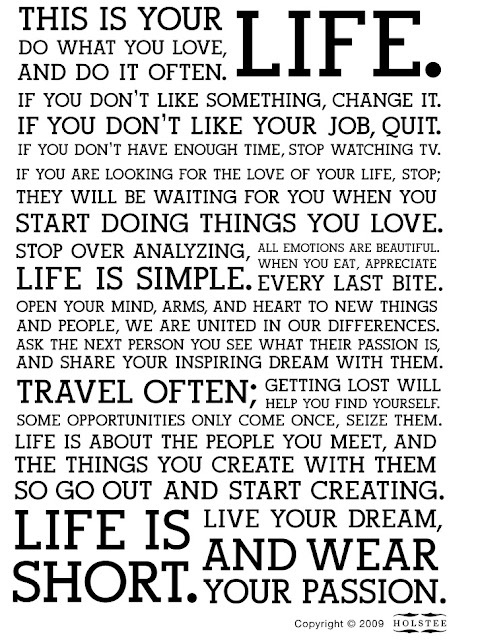 I am a big fan of Holstee's manifesto. In fact I saw the manifesto first on another blog and that's what attracted me to your company. How long did it take to create the manifesto and do you think it may evolve someday? We sat down to write the Holstee Manifesto the same week we quit our jobs to start this new lifestyle and company. It was a huge change for us and Dave suggested that we write all the things that are important to us in one spot. That same day we drafted the manifesto and sent it out to close family and friends. When we got the feedback from everyone, we realized we we're the only ones and that we might be on to something. What has been the best aspect of being an entrepreneur? What has been the biggest challenge? The best aspect of being an entrepreneur for me has been the chance to focus my full energy on all the things I love and value. The biggest challenge? Dave and I love ideas and prototyping new designs and in a small company like ours when we have an idea, we have the liberty to make them happen. The challenge comes with prioritizing and giving them the appropriate focus and attention. What advice would you give a Gen-Yer who's fed up with their corporate job, but doesn't quite know what they want to do when they "grow up?" I feel like this sense of being fed up with a corporate job is a national epidemic- in the best way possible. One of the neat outcomes of this has been the proliferation of new companies that are being created by these exact same people. A great example of this is Etsy, a great company we recently got to visit. Knowing what you know now after working in corporate America then becoming an entrepreneur, what, if anything, would you have done differently coming right out of college? Let's go back even a little further. The degree you get in college has much less to with what you can actually do, than most people think. Wish I understood when I was in school. It's so important that people study what they are interested in or passionate about, and not what they think will get them employed. If its an option, after college is a great time to go travel. I know this is a financially tough time for many, but there are so many programs that can help subsidize living abroad, especially at that age, you might need to be a bit creative, but they are out there. 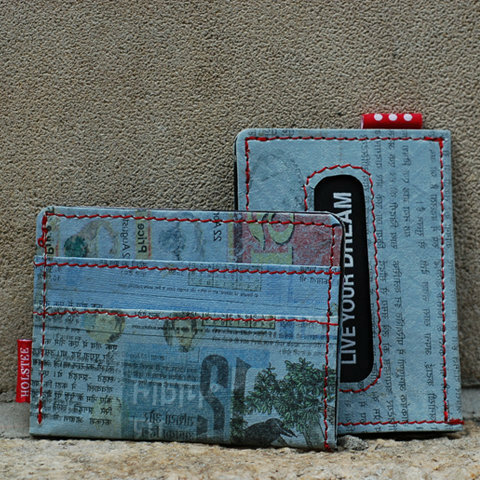 The Holstee Wallet has been such a hit. Were you surprised that this particular item has taken off? Why do you think this particular product has resonated with so many people? We were really excited with how well the wallet was received. It was something that both Dave and I were looking for but couldn't find anywhere, so we decided to create our ideal wallet . . . We had a feeling that this would be picked up [by a] larger group of people. What is your favorite Holstee product? I love the wallet. Here's where we get to the fun part . . . one of my readers is going to win a Recycled Wallet of their own! Holstee has generously provided this prize as the first giveaway on my blog! 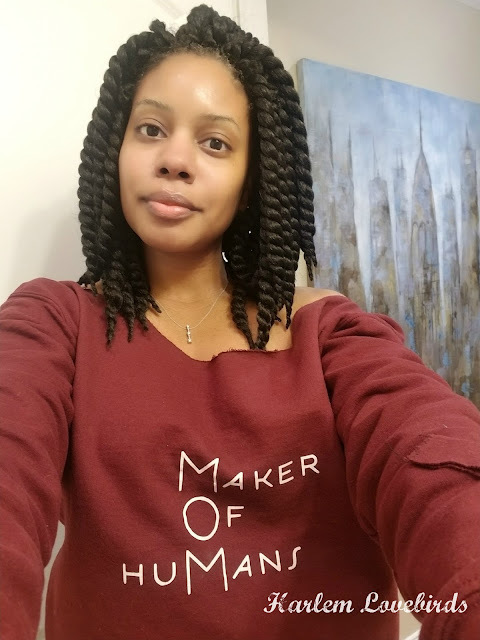 I'm so happy that my first giveaway aligns with such an awesome company that is inspiring people worldwide to live their passions and fulfill their destinies. + Minimalist Design perfect space for the essentials: credit cards, cash, and sliding window for your ID or transit card. + Made from recycled plastic bags and newspapers collected from the streets of Delhi. + Production supports the impoverished; Holstee partnered with a non-profit in India determined to help those often referred to as 'rag pickers' by providing fair wage employment, education and healthcare for employees and their families. + Each is one-of-a-kind in its pattern and style. From colored ads, cartoons, headline news, and classifieds no two wallets are the same. Fine print: The winner will be selected via random.org and announced as a separate post on the morning of Thursday, January 27 so check back to see if you've won. You'll have 48 hours to respond or another winner will be selected. P.S. Taking the Holstee manifesto even further, Monday I completed my tenth and final Toastmaster speech for the Competent Communicator level. 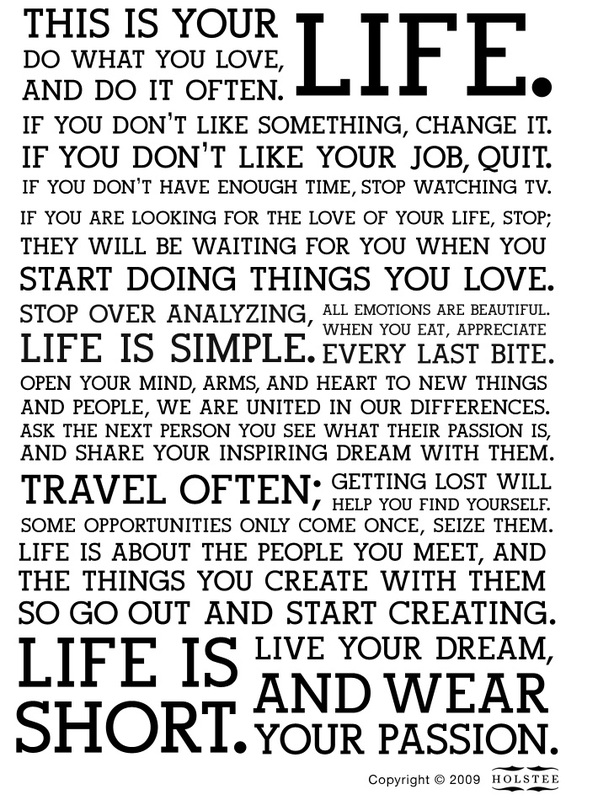 My speech, inspired by Holstee, was "What's Your Manifesto?" I shared Holstee's manifesto with the club and challenged them to replace their New Year's resolutions with a manifesto of their own. Of course I brought my camera to record my speech but forgot to set it up! I'll look for another opportunity to give my speech then post it later. P.P.S. Nia is 5 months old today! I'll follow-up with a "Nia update" tomorrow. new follower of your blog - I love this manifesto too. I'm trying to incorporate this philosophy this year. My blog is a sort of reflection of that. Thanks for the chance to win! 3.) I will post on FB. I would love to make my own manifesto! This manifesto is one of my favorites. It's such a good reminder to live your dreams. And I just followed you on GFC!